Chris joined Colonial in 1997 with a substantial background as an adjuster for both property and casualty lines, and personal and commercial insurance. 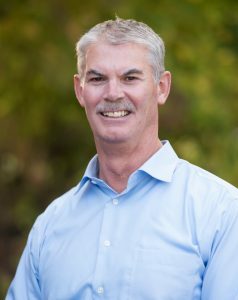 Beginning his career with a large insurance company in 1982, he has been employed by National Insurance Carrier as a senior field adjuster handling all lines in New Hampshire and Vermont, and with a large independent adjustment firm as a senior adjuster, a branch manager, and Vice President of Northeast Operations for 31 branch offices in 9 states. Chris specializes in commercial lines claims and formal appraisal, handling some of the most complex of losses. He holds multi-line adjuster licenses in Maine, New Hampshire and Vermont. As a General Adjuster, he is a key member of Colonial’s Quality Control Management Team, and he assists in the training of all new property adjusters for the company. Chris’ 34 years as an insurance adjuster, and a leader within the adjustment field, make his depth of knowledge and field experience invaluable to Colonial and its clients. As a member of the Leadership Team, his insights offer guidance on all aspects of the business, including company operations, client relations, and strategic planning. Chris is a graduate of the University of New Hampshire as well as a longtime member of the Loss Executive Association. He is affiliated with the Property Loss Research Bureau, a member of Southern Maine Claims, and a past member of both New Hampshire and Vermont Claims Associations. Chris has four grown daughters, and lives in Yarmouth, Maine. He is active in a variety of outdoor activities, particularly boating, camping, hiking, fishing and hunting. He and his wife enjoy their getaways at their camp up north in the Greenville area.